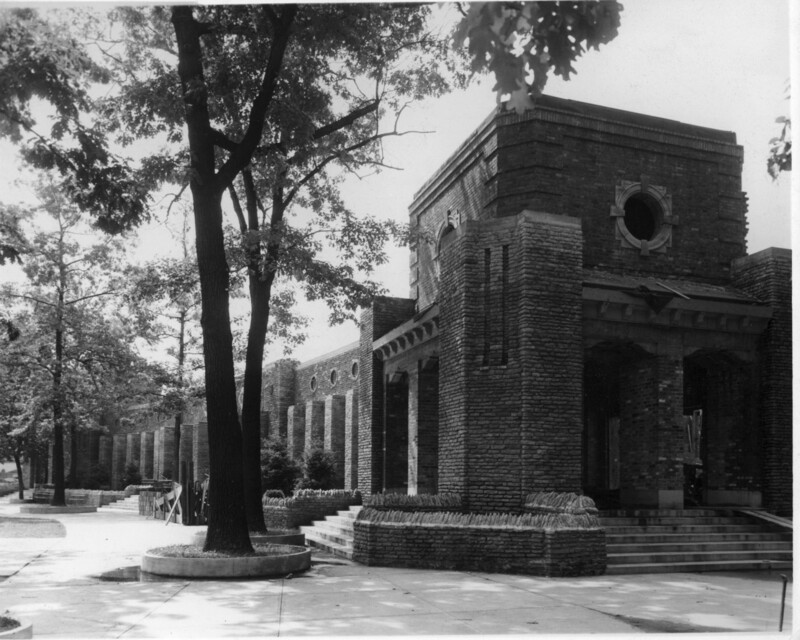 The aquarium building at the Toledo Zoo opened in 1939. Originally housing only freshwater fish, this historic W.P.A. 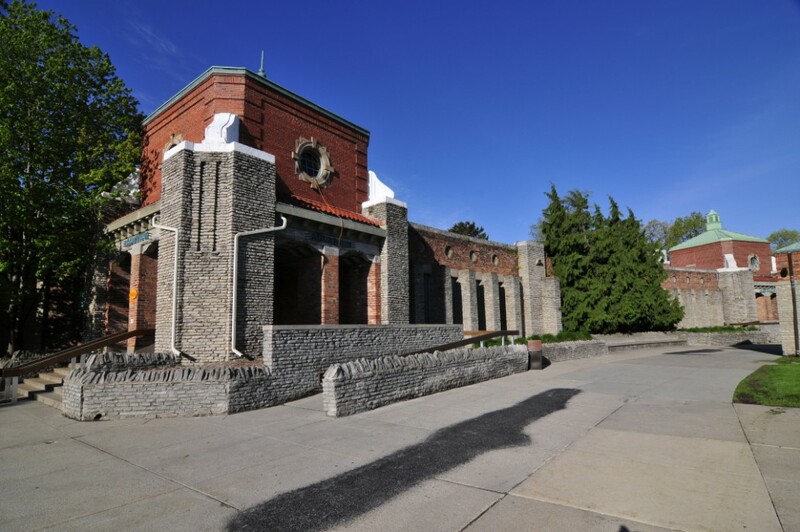 (Works Progress Administration) building gradually had marine exhibits added, starting in the 1970’s. Through the 1990’s to 2012, the number of animals housed in the building more than tripled, with an even greater emphasis on marine species. 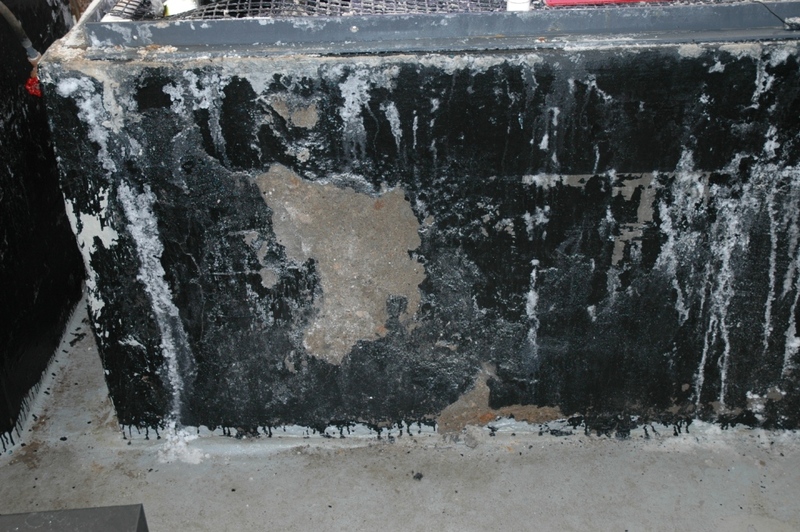 During this time, salt from the marine tanks caused increasing damage to portions of the concrete infrastructure. Additionally, the life support systems for many of the exhibits were in need of an upgrade. Public aquarium design had changed greatly in the 70 years since the Aquarium opened; exhibits are larger and more closely replicate natural habitats. 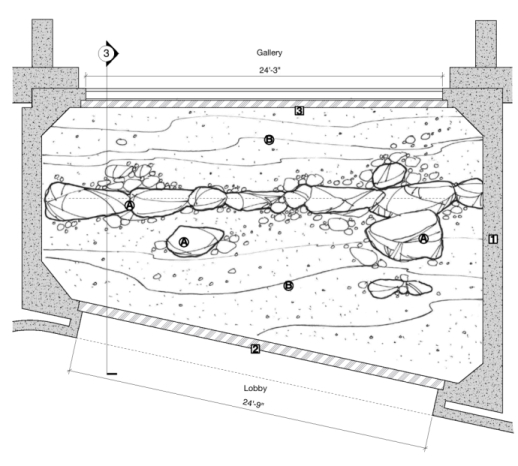 For these reasons, six years ago, a plan for a new, more interactive aquarium was developed. In 2010, a project architect was selected (EHDD – who designed the Monterey Bay Aquarium). A local firm, Rudoplh-Libbe, was selected as construction manager. Two years of intensive design culminated with the old aquarium closing October 1, 2012. All of the fish were moved out and demolition of the interior began in January, 2013. The exterior of this historic building is being restored, including restoration of an old entrance to the building that had been blocked off many years ago. The interior of the aquarium will essentially be completely new. Every existing exhibit will either be replaced with larger exhibits, or completely renovated. This new Aquarium will open March 27, 2015. The water volume of the exhibits will increase from 46,000 to 178,000 gallons to accommodate 3700 animals of 200 species displayed in 32 exhibits. There will be two 2100 gallon live coral exhibits; one for stony corals and the other housing soft corals and a huge Tridacna clam. Life support systems will change from basic biological filters to foam fractionators (protein skimmers) ozone and drum filters. This $25.5 million project is supported through public and private funding; from a Lucas County capital levy and private donations. The new exhibits will be much more interactive for the visitors; from a shark/stingray touch pool to divers in the coral reef exhibit talking to the audience through microphones in their dive masks. Visitors will be able to interact with invertebrates in a laboratory setting, change the color of the lights over the jellyfish to get a different view of these fascinating creatures. The electric eel exhibit will have a shocking interactive component as well! New animals include sea turtles, Pacific sea nettle jellyfish, bonnethead sharks and many more. One of the most important tasks in preparing for this renovation was properly managing the animal collection in the old Aquarium building. Surplus fish needed to be moved to other facilities, and irreplaceable animals were retained at an off-site holding facility. One question that we hear quite a bit about our renovation is “Where did all the fish go, and how did you move them? All of the animals needed to be moved out of the historic aquarium by mid-December, 2012: We had 3900 animals of 380 species in 2010. This dropped to 1500 animals of 140 species in 2013. Some were loaned to other aquariums, others were donated to public aquariums, a few went to local pet stores and the remainder went to our new holding facility. A transport truck from another aquarium arrives early in the morning and its tanks are filled with our aquarium water. You cannot always rely on the technical data supplied by salespeople and vendors. In one instance, we needed a light to supply ultraviolet rays for the health of the sea turtles planned for the exhibit. The salesperson assured us that the plastic cover over the light fixture would allow the UV light to pass. 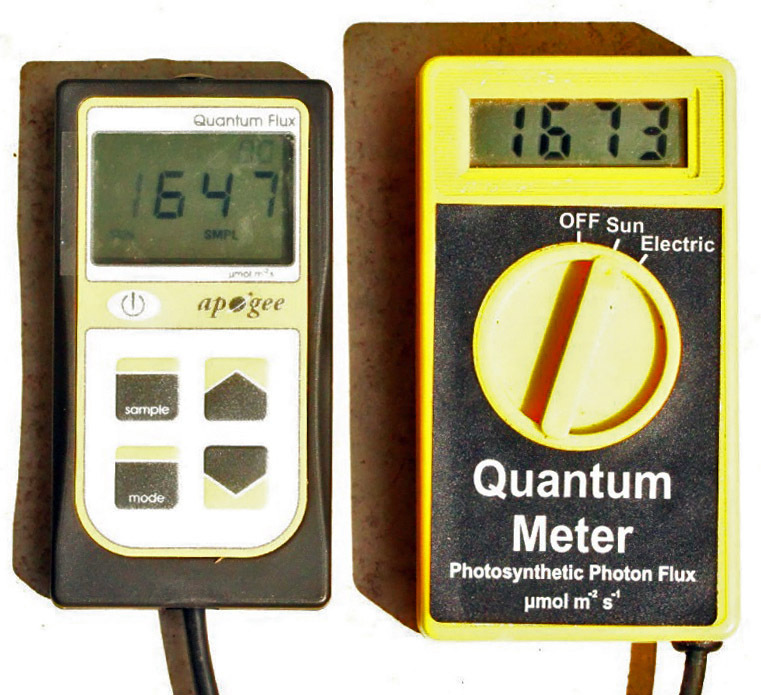 A quick 15 minute test with a UV meter borrowed from our reptile department showed that actually, the plastic light cover blocked 98% of the UV light, so another product was selected. We discovered that one type of protein skimmer removed about 20% more waste than the brand we had been using – at half the cost! Because protein skimmers vary in the consistency of their output, we used a spectrophotometer to dilute one sample so that it matched the other – then just comparing the relative volumes told us which skimmer was working the best! A vendor supplied us with a large drum filter which we tested on one of our exhibits for four months. We regular checked water clarity using a turbidimeter, as well as monitored the filter’s durability. Everything tested out fine, so we plan to be the first aquarium in the US to use this type of filter as the primary particulate removal system on its display aquariums. Now, when the new aquarium re-opens, we can be assured that it will work as planned with our new eel! The all-new exhibits in the aquarium will range in size from 40 to 90,000 gallons. They will all have state-of-the-art life support systems including full stream foam fractionators and side-stream ozone. Some of the most impactful exhibits are described below. This exhibit will be the second largest of the project. It will recreate a rocky outcropping in the Gulf of Mexico. Bonnethead sharks will be one of the focal species. There will be a variety of stingrays living on the exhibit floor as well as cownose and spotted eagle rays swimming in mid-water. Other fish may include schooling jacks as well as a sea turtle. This exhibit will be viewable from two locations; once when visitors first enter the aquarium’s lobby, and then again from the long west hallway, before they exit the building. These views will give different perspectives of the exhibit. This exhibit, at 30 feet long and 16 feet deep, will be the largest in the new Aquarium. It will showcase swarms of colorful tropical Pacific reef fishes, including blacktip reef sharks, stingrays and a zebra shark. This exhibit will be the site for diver feeding demonstrations – speaking to the Zoo audience through a microphone in the dive mask. The coral decorations will be artificial; due to the predatory nature of some fish species (we will have live corals in two other exhibits). 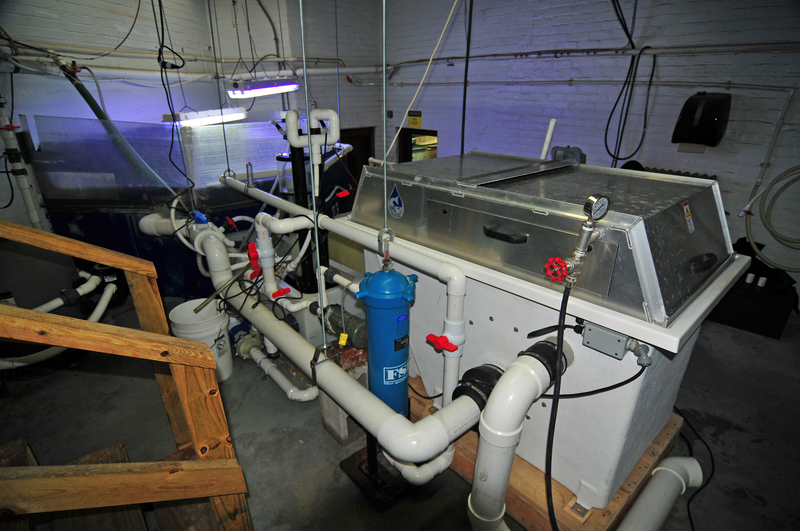 The Toledo Zoo Aquarium’s previous 1000 gallon mixed reef exhibit after 12 years of operation. 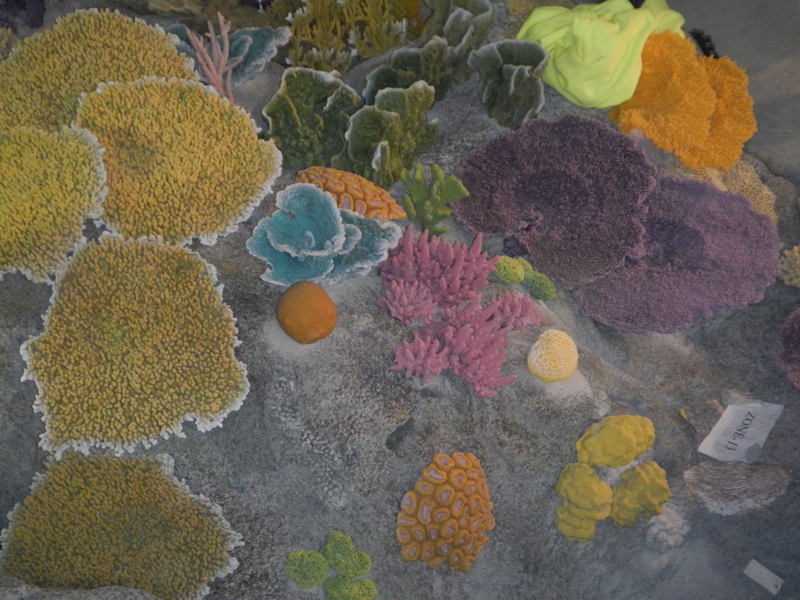 The corals were moved to our off-site holding facility for use in our future reef exhibits described here. 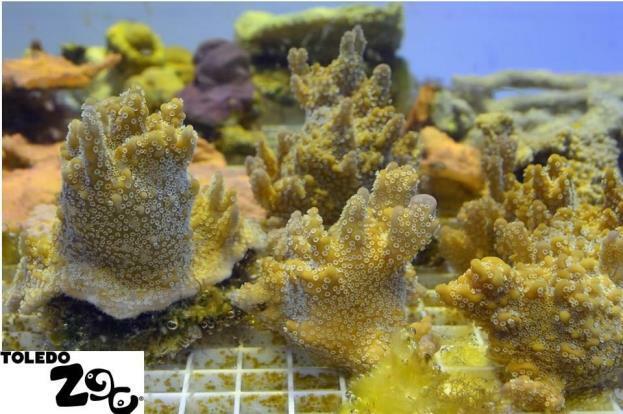 As marine aquarists know, live corals require different life support equipment and a narrower range of water quality parameters than do fish and even some other invertebrates. Even then, not all corals are created equal, and one important consideration is that of the potential for “allopathy” or chemical warfare between species. 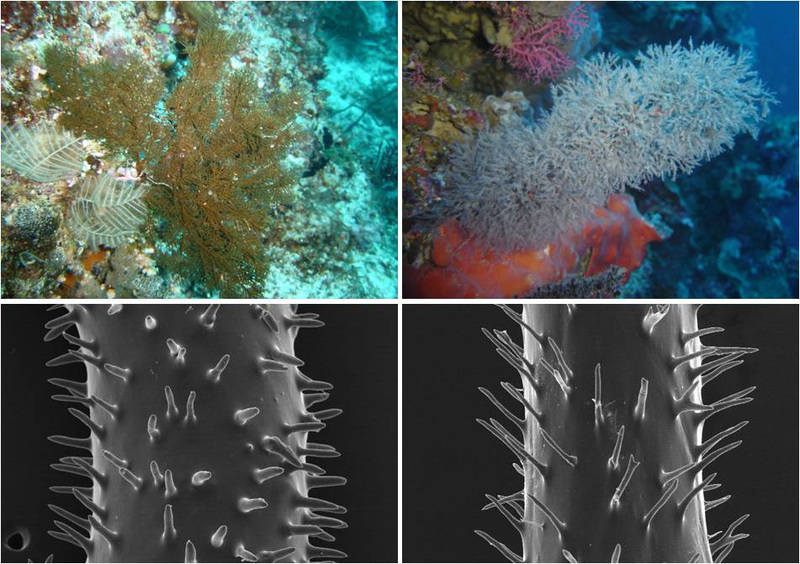 Direct attacks between corals using sweeper tentacles is one way corals fight each other for space, but they can also inhibit the growth of other corals by releasing toxins into the water. 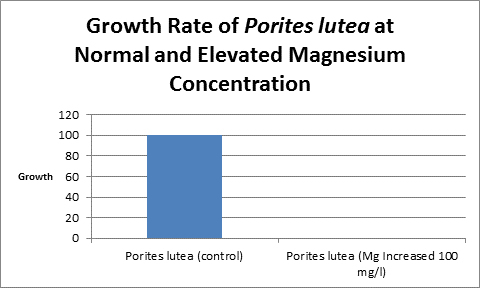 In our previous reef exhibit at the Toledo Zoo, we found that some species of soft coral would cause growth problems in Small Polyp Stony (SPS) corals. 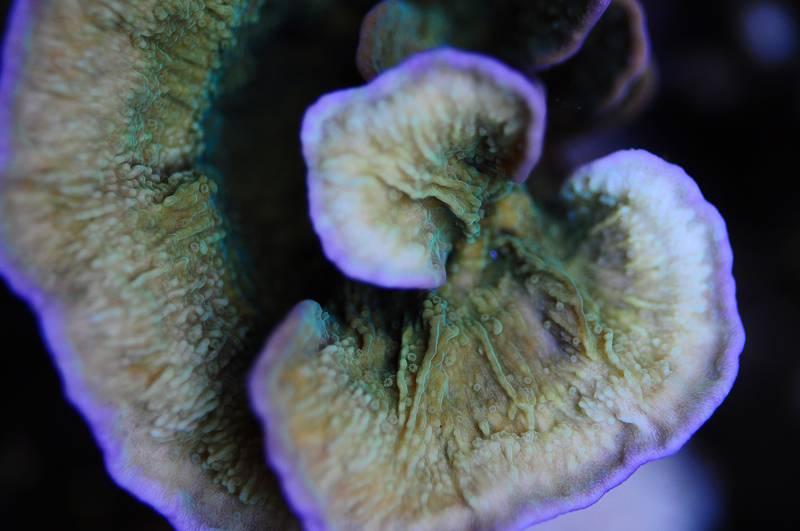 In addition, the SPS corals tend to have more stringent water quality requirements than many soft corals do. The solution for us was to develop two live coral exhibits: a Reef Crest dominated by SPS corals and a Lagoon exhibit designed to house soft corals and our giant Tridacna clam. Lighting will be from six 400-watt, 10,000k metal halide pendant fixtures, as well as a “Sola Tube” light pipe. 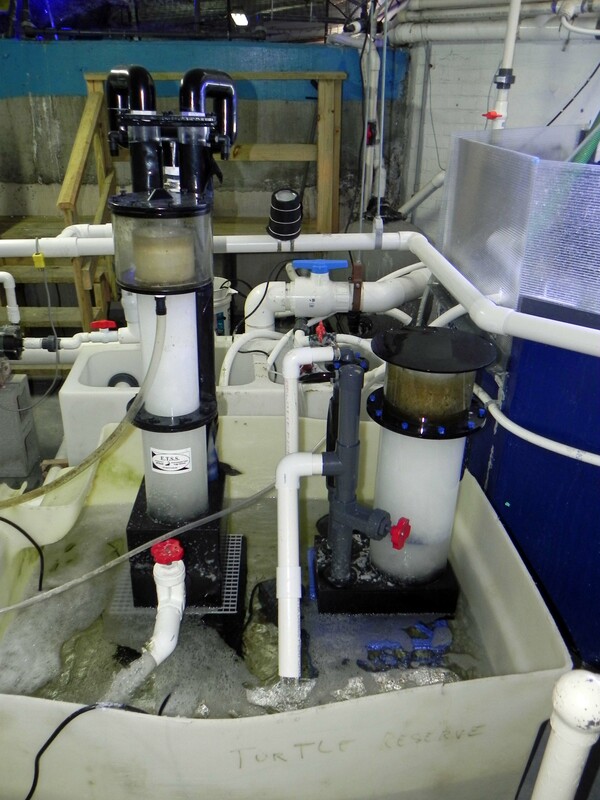 The exhibit will have a remote sump with two large skimmers and a calcium reactor. Water temperature will be maintained by a heat exchanger connected to the building’s new geothermal system. We continue to propagate hundreds of SPS corals in our holding facility – getting ready for the new Aquarium’s opening in 2015! 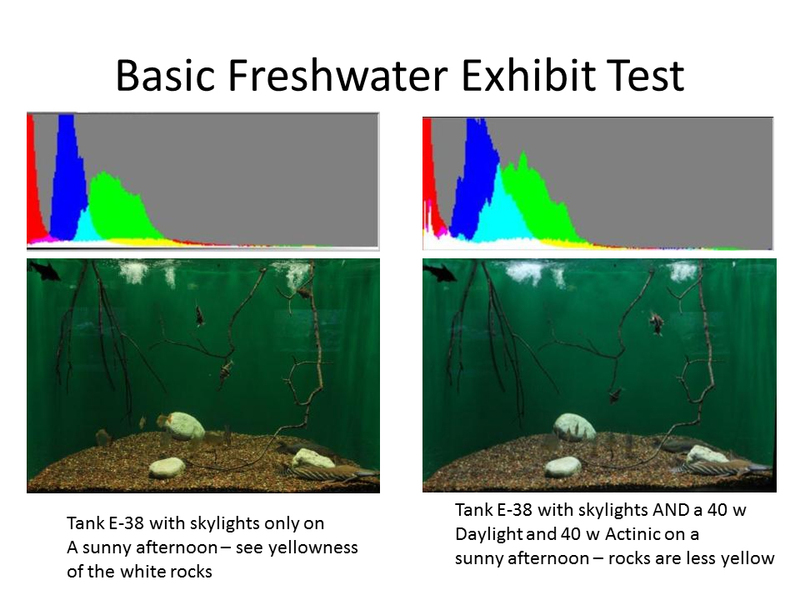 The life support system will be identical to that of exhibit 2.6A, except that the metal halide bulbs may be a lower color temperature and only one protein skimmer will be employed. This giant Tridacna clam was too large to display in the old Aquarium, but it will become a showpiece for the new lagoon exhibit. 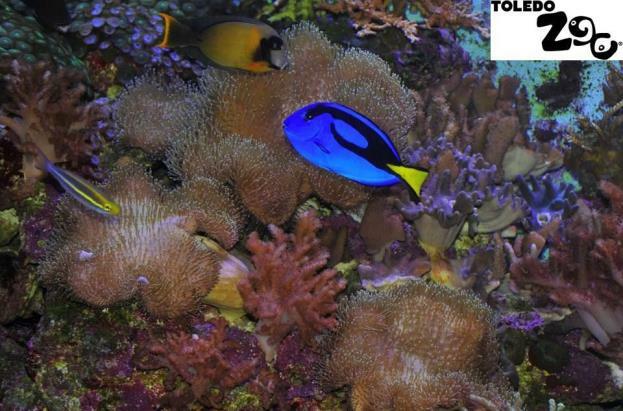 Selection of the fish will depend on their ability to cohabitate peacefully with the corals. Some fish will also be chosen for their ability to serve a function for the living reef; surgeonfish will eat unwanted algae, while we use copperband butterflyfish to reduce the number of the pest anemone, Aiptasia. Although the three largest exhibits in the new aquarium will all contain tropical (warm) water, many interesting aquatic species also live in the temperate (cooler) waters of the world. For this reason, many of the smaller exhibits were designed using a chilled loop from the building’s geothermal system, connected to individual heat exchangers to maintain a water temperature of 55 to 68 degrees Fahrenheit in each exhibit. Four of these exhibits will be stationed along the south end of the Aquarium; Giant Crabs, California Kelp Forest, the Deep Sea and Flashlight Fish. Gallon for gallon, these exhibits will house some of the strangest-looking animals in the new Aquarium! 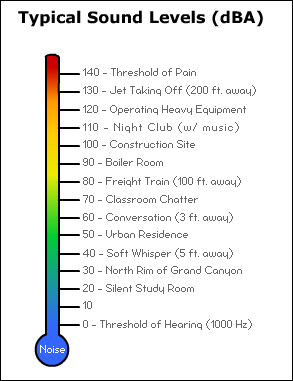 Some regions, such as the Gulf of Mexico have a temperature range that spans four or five of these zones. A perennial favorite with visitors to the old Aquarium, these huge crabs get new digs in the renovated aquarium – at 4400 gallons, it will be four times the volume of their previous tank! We can also display other temperate Japanese species such as snipefish and Japanese roughy in the same exhibit. This exhibit allows us to display leopard sharks and other coastal California species – including bat rays. The bright orange Garibaldi fish will stand out for visitors from across the lobby. A special Hydrowizard pump will produce simulated ocean swells and currents. This computer-controlled pump uses only 300 watts of electricity, yet can create waves as high as two feet in this environment. 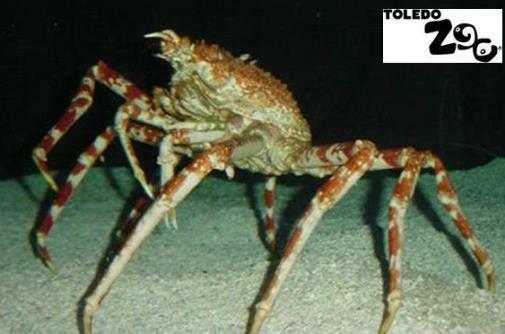 Since 2000, the Toledo Zoo Aquarium has gained a wealth of experience in keeping deep sea creatures from Japan. One thing that we’ve learned is that “eat or be eaten” is a common trait of these animals, especially for crustaceans whose shells are still soft right after they molt. For this reason, our new 400-gallon Deep Sea exhibit will be divided into four compartments, separating predator from prey. This unusual exhibit is 10 feet across, 8 feet tall, but only 18″ wide. With its 6 ½ foot wide viewing window, it will give visitors a panoramic view of the graceful Pacific Sea nettle jellyfish as they drift by. A translucent blue backdrop to the exhibit will display the jellies just as if they were drifting in the open ocean. Visitors often tell us that watching our old moon jelly exhibit was very peaceful, almost hypnotic…we can’t wait to hear their reaction when they see this exhibit! A signature exhibit in the old Toledo Zoo Aquarium was the Giant Pacific Octopus (or GPO in aquarium jargon). A major aquarium once sent a contingent of their staff to the Toledo Zoo to find out why we were so successful at maintaining this species. The new GPO exhibit will build on this success. Of all of the invertebrate species housed in aquariums, octopuses seem to be the most intelligent. We offer our octopus a variety of engaging items, including the jar with food inside pictured below. These creatures soon learn to unscrew the lid to get at the food, but to date, we’ve never been able to teach one to put the lid back on! The Toledo Zoo staff is anxious for the new aquarium to open March 27, 2015 so they can show the building off to all our guests. Exhibit-wise, we think it will be one of the most solidly filled aquarium out there because so many new exhibits were fit into the existing 30,000 square foot building…and even with that, the visitors will have much more space to roam. Once the building is open and operating smoothly, the aquarium staff intends to reinvigorate their marine fish breeding program and expand their efforts with the endangered Lake Victoria cichlids, as well as continuing with husbandry research.